Very Good. 0521427428 ALL BOOKS SHIPPED WITHIN 1 DAY OF PURCHASE! There are some sentences inside the book that have been underlined and some notes written in pencil. Good reading copy. Good condition is defined as: a copy that has been read but remains in clean condition. All of the pages are intact and the cover is intact and the spine may show signs of wear. The book may have minor markings which are not specifically mentioned. Most items will be dispatched the same or the next working day. Very Good. Trade paperback (US). Glued binding. 338 p. Contains: Unspecified. Cambridge Companions to Literature. 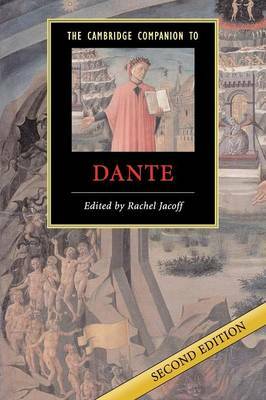 The Cambridge Companion to Dante was fully updated in 2007 to take account of the recent scholarship and includes three new essays on Dante's works. This edition will ensure that the Companion continues to be the most useful single volume for new generations of students of Dante.